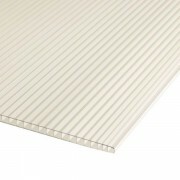 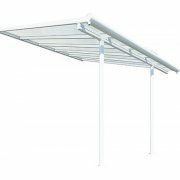 Merging a smart and clean design to create a simple assembly and improved use. 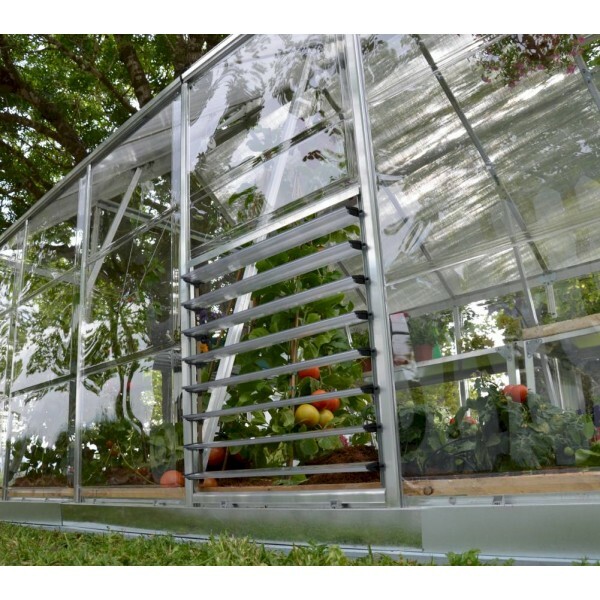 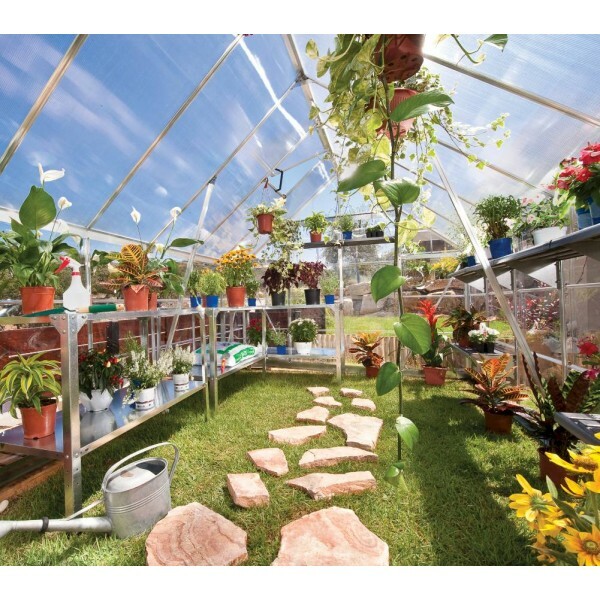 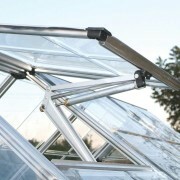 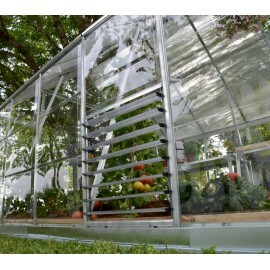 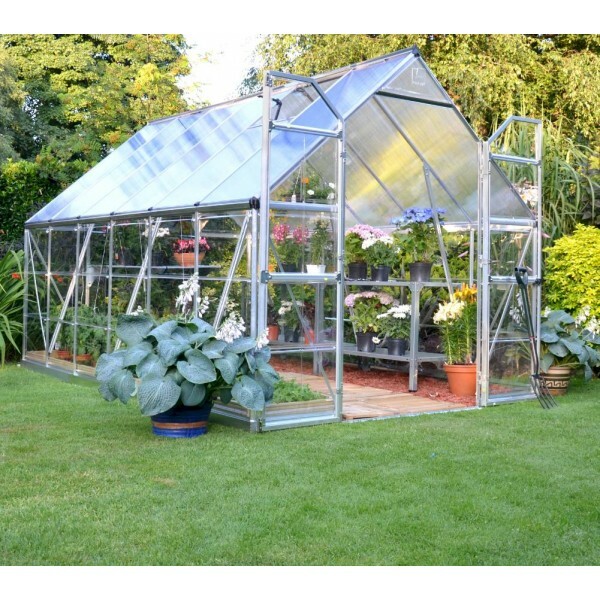 This large greenhouse features two kinds of virtually unbreakable polycarbonate panels to give you the best of both worlds, creating an ideal combination of sunlight transition, heat insulation, and safety for all your gardening needs. 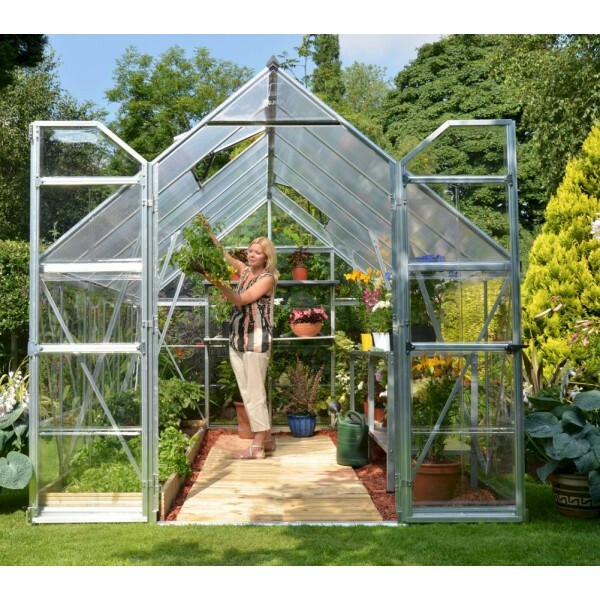 The extra-large workspace and the wide double doors allow the most avid gardener plenty of room to grow an abundance of vegetables and still have room for transplanting tender plants, and for storing tools and accessories. 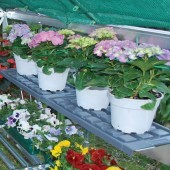 Your plants will have great conditions for nurture and growth.